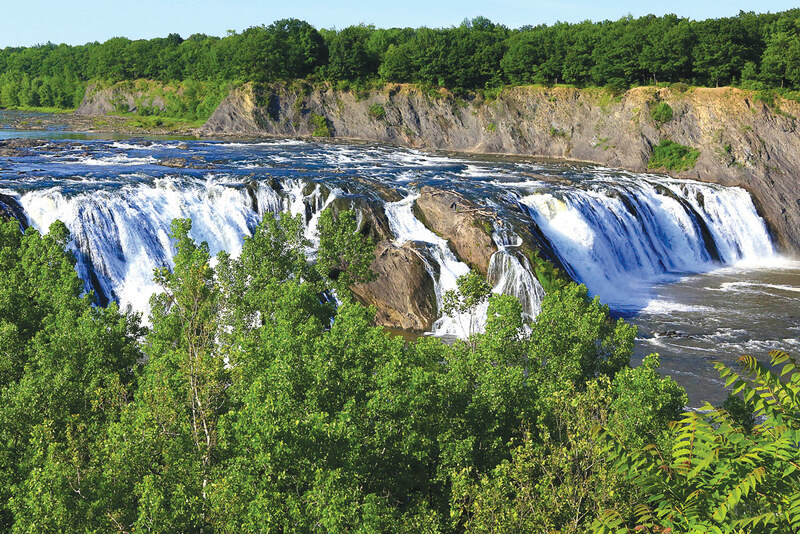 High on a ridge overlooking the landscape leading to the Cohoes Falls, Lion Heart Residences provides a majestic view of its surroundings and is perfectly situated, allowing for easy access to either Route 787 or Route 9 and Route 87. With the CDTA Bus stop right at Manor Drive, the site is easily accessible by bus or car. Our brand new state of the art buildings are a short walk or drive to restaurants and shopping – with all the convenience you need. 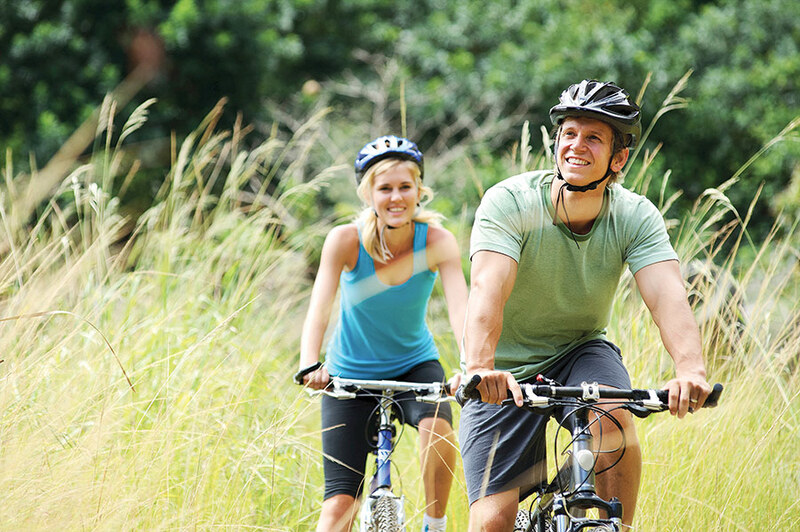 Lion Heart Residences sit on 26 acres of passive park land with walking trails and has direct access to the Mohawk-Hudson paved bike path. Lion Heart Residences combines superior quality rental apartments with the perfect upscale suburban park-like setting. At Lion Heart Residences, our eco-friendly state of the art apartments allow for a comfortable, yet stylish lifestyle in a convenient suburban location. 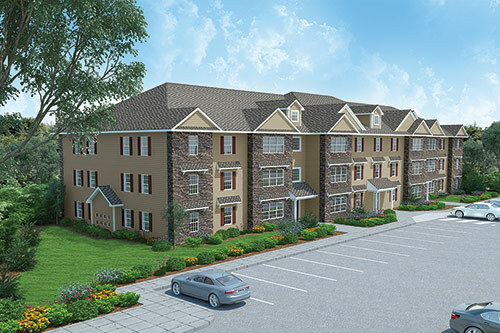 Each newly constructed, airy apartment will bring you pride and comfort in your new home. With that comfort, we also have ample on-site parking to meet your needs. Apartments at Lion Heart Residences feature spacious kitchens with brand new Energy Star appliances including brand new efficient ranges and refrigerators and dishwashers. The living spaces have wall to wall carpet and newly tiled bathrooms. 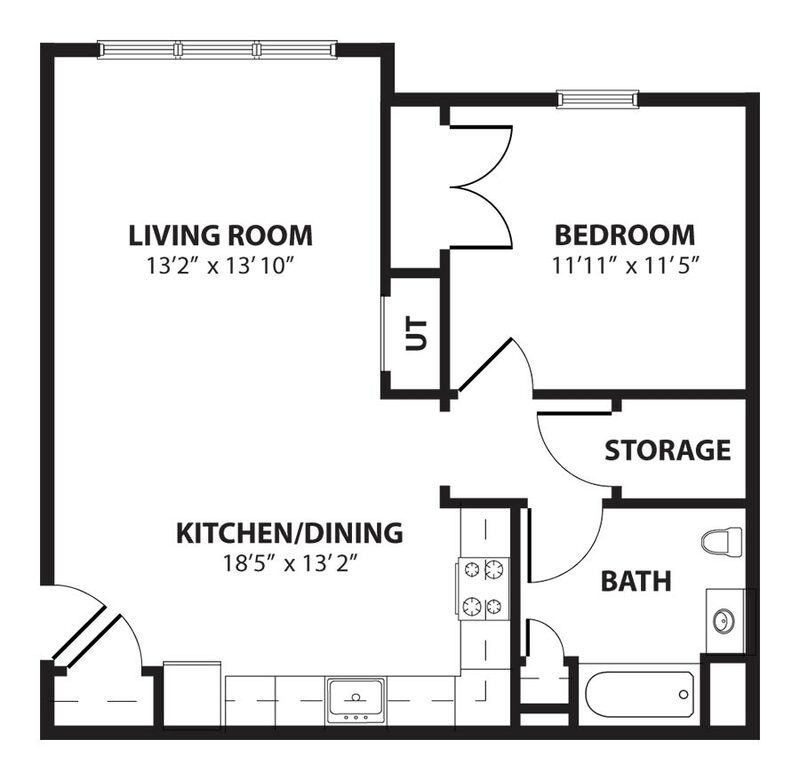 Convenient laundry facilities are located right on-site. Each rental residence has its own Energy Star heating and air conditioning system, allowing you control of your own indoor climate preferences. *Tenants Pay hot water, electric, cooking electric and A/C. 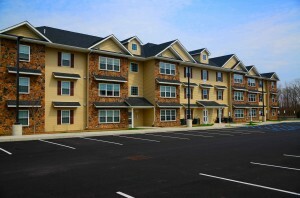 **Some units are set aside for households below the maximum incomes listed above. 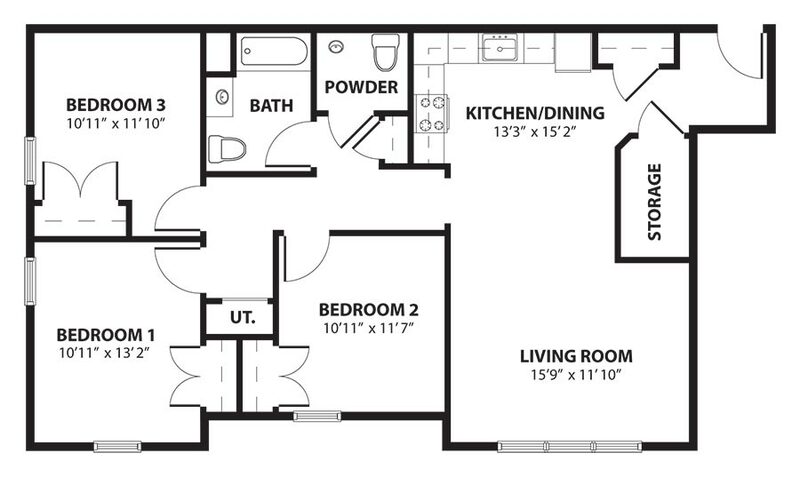 ***These are a few examples of the apartment layouts available. 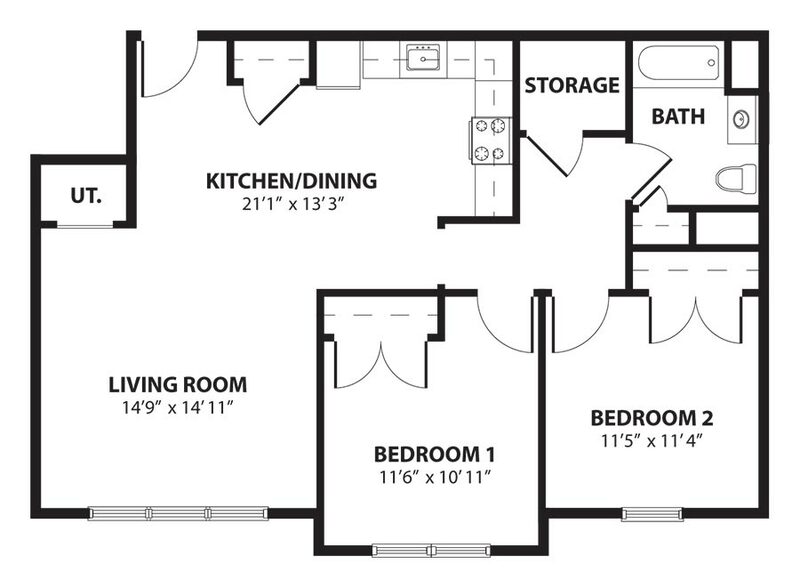 Apartment layout, features, and square footages will vary depending on location and are subject to change. These are artist renderings only and all dimensions are approximate. Not fully to scale.